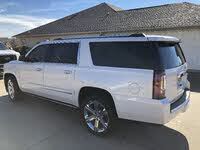 Looking for a New Chevrolet Suburban in your area? 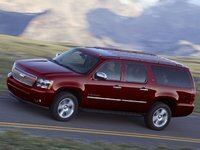 CarGurus has 3,143 nationwide Chevrolet Suburban dealers with 32,533 new car listings. 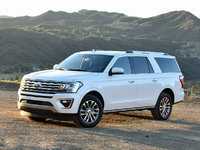 Crossovers have been increasingly taking the place of SUVs, offering similar all-weather capability and passenger room as full-size SUVs, but return better fuel economy and are generally more comfortable. Crossovers, however, cannot match a full-size SUV when it comes to carrying a big family and their luggage on a trip. This is where models like the 2018 Chevrolet Suburban shine. Chevrolet is introducing a new special edition for the 2018 Suburban called the Rally Sport Truck (RST). This package comes with a more aggressive look with a gloss black finish on select trim pieces and grille insert; body-colored grille surround and door handles, and 22-inch wheels. Options for the RST include a Borla exhaust system and larger brakes. The RST package is available on the LT and Premier trims. The Suburban’s exterior design is clean, with a simple box profile and a large area of glass. The front end showcases a large rectangular grille and distinctly shaped LED headlights. An integrated trailer hitch and a smooth tailgate make up the rear. Wheels range in size from 18- to 22-inches. Being a full-size SUV, the Suburban’s interior is spacious with seating capacity for nine. Passengers sitting in the front and second-row seats are given ample head and legroom. Third-row passengers may be less comfortable on long trips as the seats have reduced padding, and the legroom is limited. The Suburban leads the market segment in terms of cargo space. Open the rear tailgate to find 39.3 cubic feet of space behind the third-row seat. With the third-row folded, space increases to 76.7 cubic feet. Fold both rows of rear seats to get the maximum cargo space of 121.7 cubic feet. 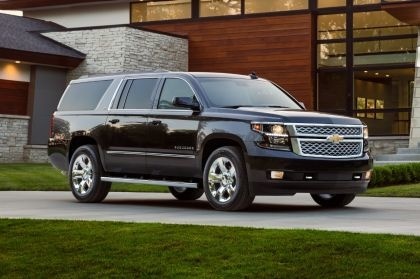 Chevrolet earns praise for making the Suburban’s interior pleasant. 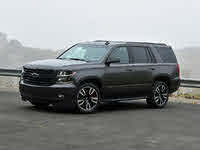 Compared to the previous-generation model, the current Suburban boasts a clean dash layout and higher quality materials. Certain trims feature accent stitching on the dash, giving it a premium feel. All Suburbans get an 8-inch touchscreen with Chevrolet’s MyLink infotainment system. MyLink is considered one of the easiest infotainment systems to operate thanks to an intuitive interface, physical shortcut buttons, and quick transitions between functions. Android Auto and Apple CarPlay integration allow for smartphone applications use through MyLink. OnStar 4G LTE with Wi-Fi provides a high-speed data connection for up to seven devices, perfect for keeping passengers occupied on long trips. A 5.3-liter 8-cylinder producing 355 horsepower and 383 pound-feet of torque is the sole engine for the 2018 Suburban. Power is sent through a 6-speed automatic to either the rear wheels (RWD) or optional 4-wheel-drive system (4WD). The power figures hint that the Suburban moves with authority, but reviewers note that the Suburban can feel sluggish when accelerating. In terms of towing, the Suburban has a max rating of 8,300 pounds. EPA fuel economy figures for the 2018 Suburban stand at 16 city mpg, 23 highway, and 19 Combined for the RWD model and 15, 22, 18 for the 4WD model. Like the smaller Tahoe, the Suburban’s ride quality varies. The Suburban’s suspension minimizes the impact of larger road imperfections to provide a smooth ride. Smaller imperfections, however, may be transmitted, making the ride less comfortable. GM’s Magnetic Ride Control system is available as an option that helps to smooth out the ride, but its effectiveness may decrease when coupled with larger wheels. For safety, the 2018 Chevrolet Suburban comes with seven airbags, stability and traction control, reversing camera, rear parking sensors, Teen Driver (allowing a parent to set restrictions on various functions), and OnStar telematics. Optional equipment includes blind spot monitoring with rear cross-traffic alert, forward collision warning with automatic braking, lane departure warning, lane keep assist, and a safety alert seat that vibrates to warn the driver of impending danger. The Suburban has a 4-star overall rating from the National Highway Traffic Safety Administration (NHTSA). The 2018 Chevrolet Suburban begins at $50,200 for the base LS RWD. Ask William Maley how he started as an automotive writer and he would say he just fell into it. Based in Michigan, William has driven vehicles of all sizes and shapes. His work has appeared on Autobytel, CARFAX, Cheers & Gears, and U.S. News Best Cars. What's your take on the 2018 Chevrolet Suburban? GuruXPBDB Outside mirrors are too small ,when rear 3rd row seats are up you have a very limited rear window view. Very sluggish gas pedal, whinny transmission and terrible hard ride. Users ranked 2018 Chevrolet Suburban against other cars which they drove/owned. Each ranking was based on 9 categories. Here is the summary of top rankings. 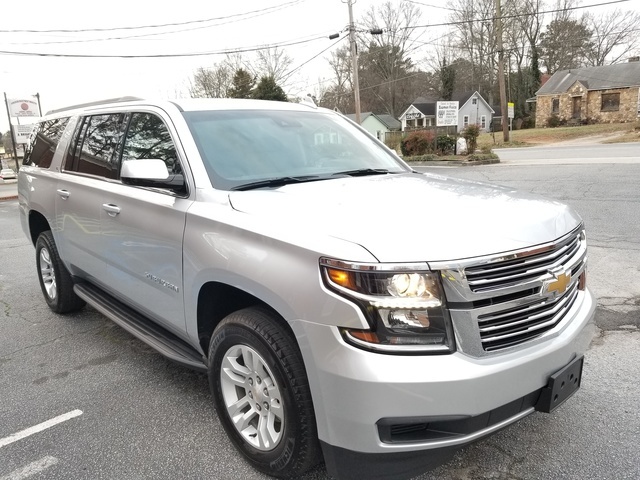 Have you driven a 2018 Chevrolet Suburban? Enter your zip to see incentives for a new Suburban in your area. CarGurus has 21,811 nationwide Suburban listings starting at $1,990. Can power folding mirrors be added to a 2018 Chevy suburban Lt.
Can You Swap Bench Row Seat For Bucket Seats? Looking at the 2018 Suburbans. If we get a bench row, can we later pull it out and put in captain seats?